Date: Mar 30 2019, 1 p.m. - 3 p.m.
It’s time for a little spring coloring! 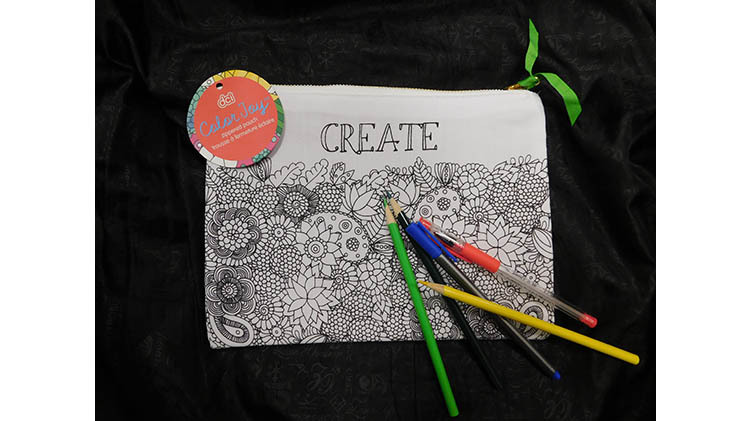 Sign up to color your own zippered pouch (10"x 8") at the Redstone MWR Library. The event is free and open to ages 10 to 99! Color one for yourself or make it a parent/child event. All supplies are provided by the library. PLEASE NOTE: Sign-up is required and space is limited to 12. Please call 256-876-4741 to reserve your spot. Staff will call the week of the event to confirm your attendance.